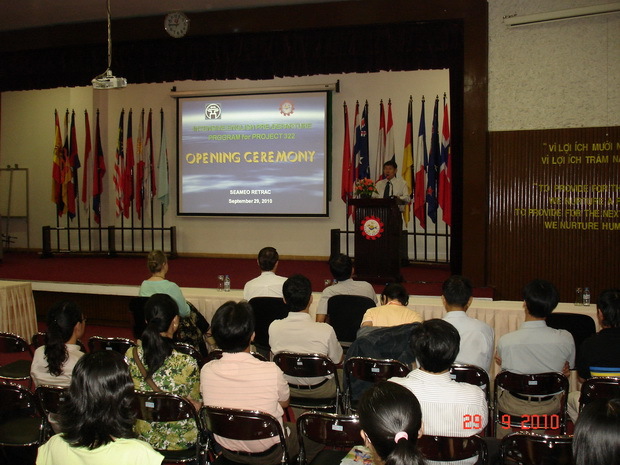 More than 75 government scholarship recipients attended the opening ceremony of the intensive English preparation course at SEAMEO Regional Training Center on September 29, 2010. 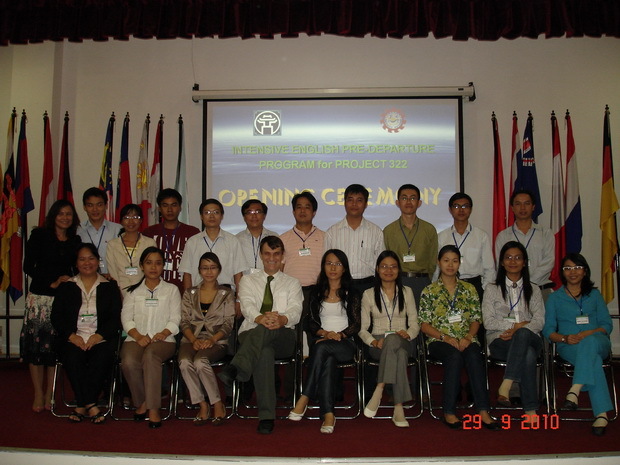 The course aims at providing an intensive English program for the PhD candidates who wish to achieve the required scores in TOEFL-iBT or IELTS for overseas study, and to develop their skills in research proposal writing, library search, presentation, and college study. It is also aimed to familiarize the students with some essential socio-cultural knowledge about the countries where they intend to go and to help them with the application for PhD candidacy in different universities. 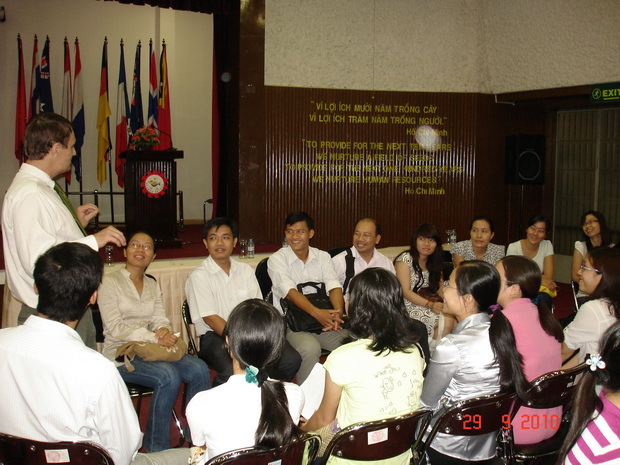 The course will last for fifteen weeks from September 29, 2010 to January 15, 2011.